Barbara Hopper is a Partner in the accounting firm of White, Zuckerman, Warsavsky, Luna & Hunt, LLP, providing accounting and litigation services. She is a Certified Public Accountant (CPA) with over 20 years of experience, and has earned the distinction of being Accredited in Business Valuation (ABV), Certified in Financial Forensics (CFF) and a Charter Global Management Accountant (CGMA) by the American Institute of Certified Public Accountants (AICPA). 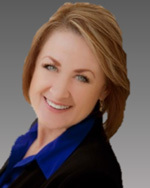 Barbara is a qualified expert witness and has testified on numerous occasions before the Superior Court of the State of California on marital dissolutions matters including the determination of gross adjusted income available for support, business valuations, tracings, reimbursements, the division of the community/separate property balance sheet and post judgment accounting matters. She has successfully worked with both counsel and litigants on resolution and settlement negotiations and has been appointed as an evaluator in accordance with California Evidence Code Section 730. Ms. Hopper’s prior experience includes positions at Zamucen, Curren, Holmes and Hanzich, LLP, specializing in forensic accounting for litigation with a focus on family law, positions with various PepsiCo divisions performing extensive financial analyses and managing the financial and accounting aspects of division profit centers and associate positions with PriceWaterhouse (now PwC) and KPMG, specializing in certified financial statements. Ms. Hopper graduated from San Diego State University with a Bachelor of Science in Applied Arts and Sciences Business Administration (Accounting). She is a member in good standing with the American Institute of Certified Public Accountants (AICPA) and the California Society of CPAs. She was selected to be a member of the AICPA’s Judiciary Subcommitte which develops educational courses and provides training for Federal and State Court Judges and has prepared and lectured for Lorman Education Services on marital dissolution accounting matters. In addition to training on family law litigation matters, Ms. Hopper has taken numerous continuing education courses on family law litigation matters and valuation.